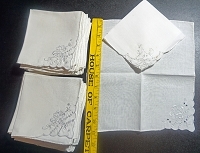 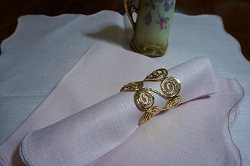 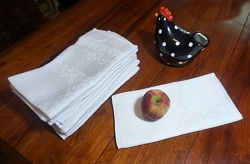 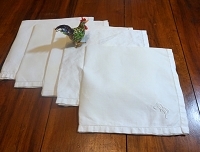 Here's an adorable set of 10 homespun napkins with a matching table runner that's 96" x 9-3/4". 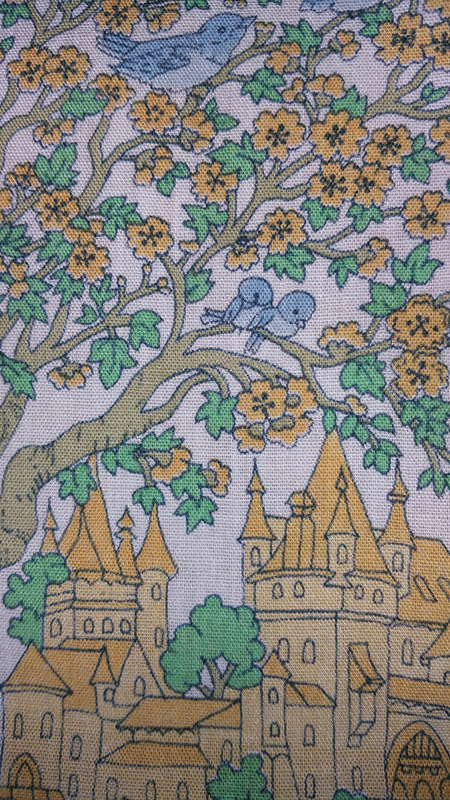 Features an adorable Irish spring scene complete with a castle in soft golds, blue and greens. 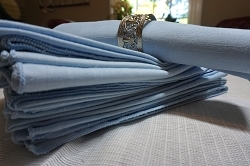 Very soft cotton blend, great for a large gathering. 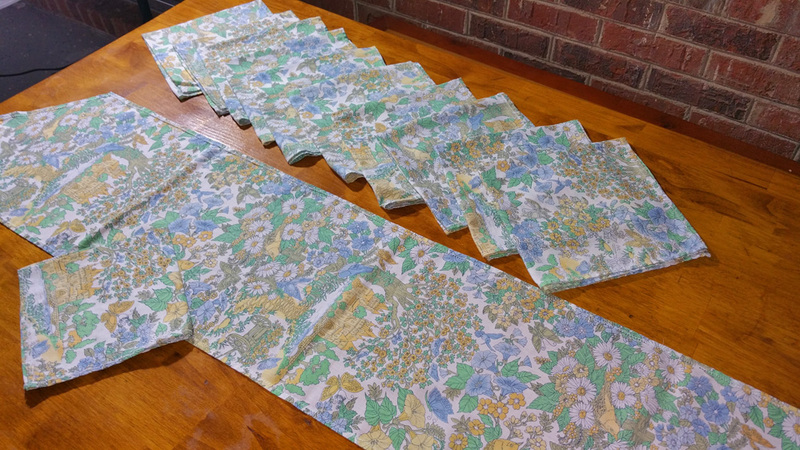 I fancy that a lady brought this fabric home from Ireland to make this set. 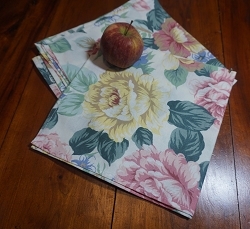 There's also a bonus piece that could be used as a bread basket liner.